It is important to note that the relevent behavioral differences between separate services that support a common protocol--and thus the metadata used to describe those behaviors--will be specific to that protocol. That is, for example, the ability to create image cut-outs is irrelevent to the Simple Cone Search protocol. Consequently, it is necessary to define protocol-specific metadata to adequately describe a service's support for that protocol. This document defines such capability metadata for SCS, SIA, SSA, and SLA. This document describes for each of the standard data access protocols--SCS, SIA, SSA, and SLA--precisely how to describe a service that supports one of the protocols in terms of the VOResource XML encoding standard [VOR]. 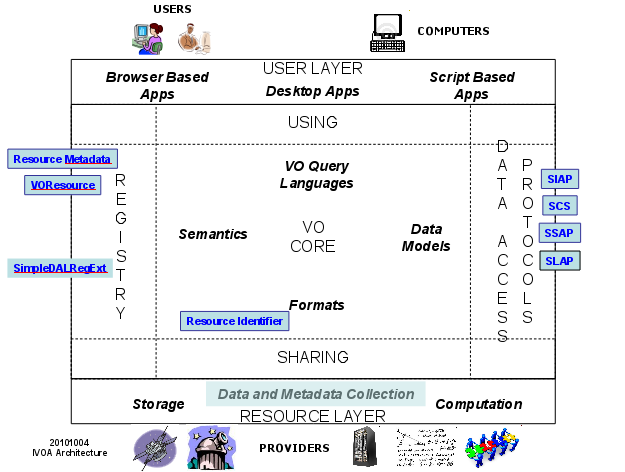 This specification is intended to be applicable wherever VOResource records are used, but in particular, it is intended as the standard for encoding resource descriptions within an IVOA-compliant registry [RI] and for encoding capability metadata available through the VO Standard Interface [VOSI]. 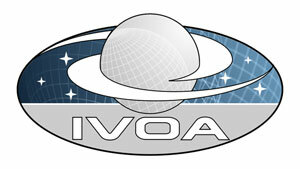 The namespace associated with the SSA extension schema is "http://www.ivoa.net/xml/SSA/v1.1". The namespace prefix, ssap, should be used in applications where common use of prefixes improves interoperability (e.g. in the IVOA registries [RI]). Furthermore, we use the ssap prefix in this document to refer to types defined as part of the SSA extension schema. Semantic Meaning: The category that describes the process used to produce the dataset, as defined in [SSA], section 2.5.2.
spectralExtraction Extraction of a spectrum from another dataset, e.g., extraction of a spectrum from a spectral data cube through a simulated aperture. Comments: Since the [SSA] standard requires that ICRS be supported by default, the list of supported frame provided here must include at least ICRS. Semantic Meaning: The largest aperture diameter that can be supported upon request via the APERTURE input parameter by a service that supports the special extraction creation method. A value of 360 or not providing a value means there is no theoretical limit. pixels along the first or second axes. should be used as part of the query to the SIA service. used as part of the query to the SIA service. a value means there is no theoretical limit. indicate that there is no limit. indicate that there is no restriction. for SSA's creationType, changed specialExtraction to spectralExtraction. corrected Creation Type reference to section in SSA doc. made long and lat elements in ssap:PosParam required. incremented SSA schema version to 1.1 in namespace. noted that the <long> and <lat> values within the sia:SkySize type are given in degrees. Fixed documentation of SIA's sia:Query type in the schema.